Here’s some hope and humor from my friend, Chris Maxwell. He uses the writings of Frederick Buechner, Oswald Chambers, Annie Dillard, Richard Foster, C. S. Lewis, Brennan Manning, Calvin Miller, Henri Nouwen, Eugene Peterson and more to encourage those serving others. 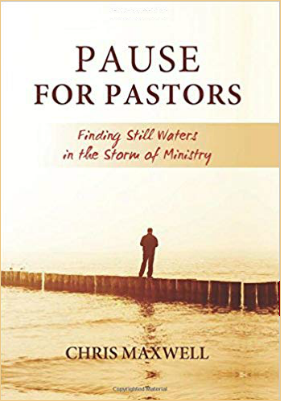 I’m part of the “more” in his book, Pause for Pastors: Finding Still Waters in the Storm of Ministry. So here’s my excerpt to provide some hope and humor for those “in the storm of ministry” . . .